The Brazilian Room in beautiful Tilden Park is both elegant and unique. 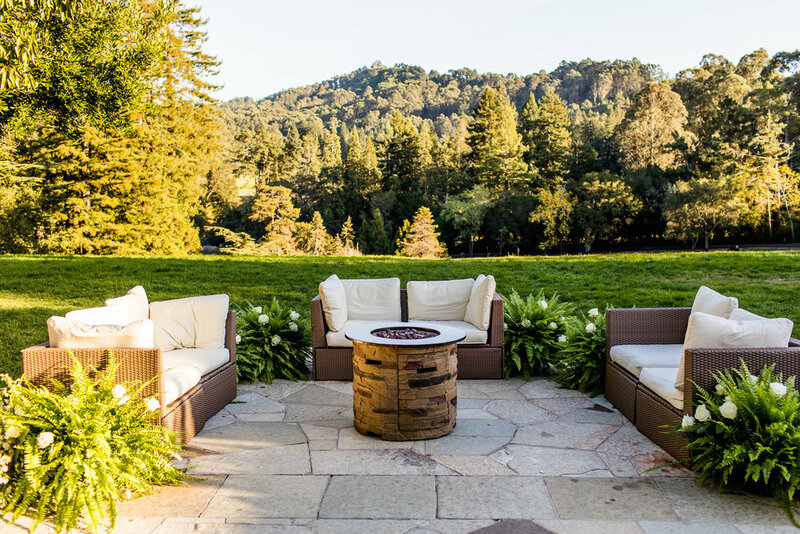 The outdoor ceremony site is surrounded by a lush green meadow and wooded areas of redwoods and oaks. This couple kept the outdoors theme throughout the ceremony with white flowers cascading in and out of the aisle, abundant ferns, and rustic elegant lanterns. The bride's style was old Hollywood elegance and her lovely textured bouquet was abundant with roses, scabiosa, tea roses, orchids, and silver dollar eucalyptus. 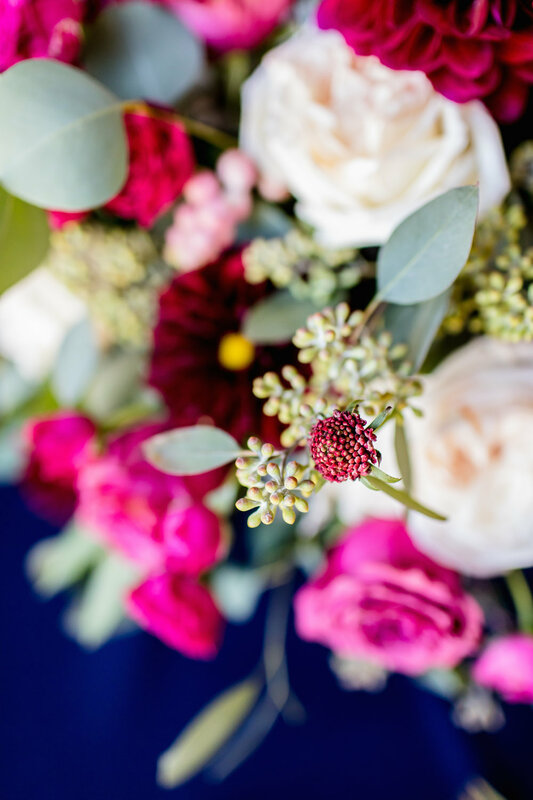 Her bridesmaids sparkled in navy and gold dresses and carried rich vibrant bouquets of magenta, deep plum and blush pink. The reception held inside the Brazilian Room was rich, bold, and enchanting. 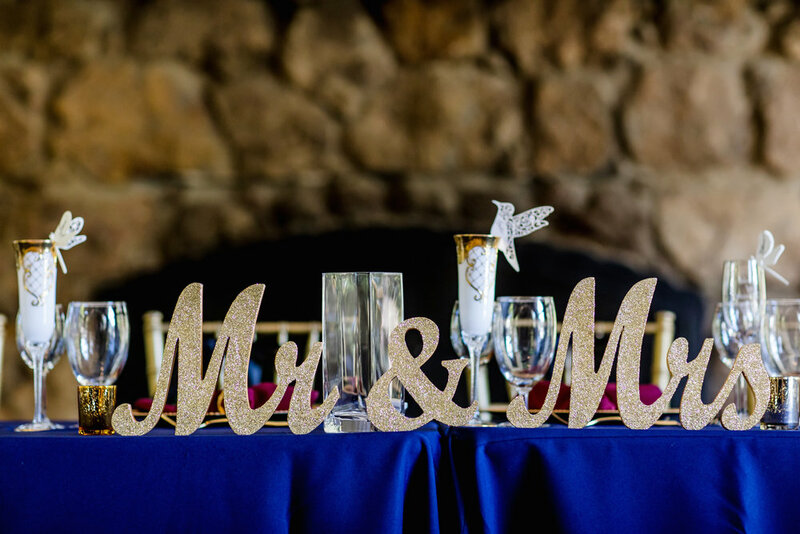 Deep magenta floral arrangements popped against the dark navy linens, gold candelabras and charges added brightness and shimmer, and details of butterflies and hummingbirds added enchanting touches.